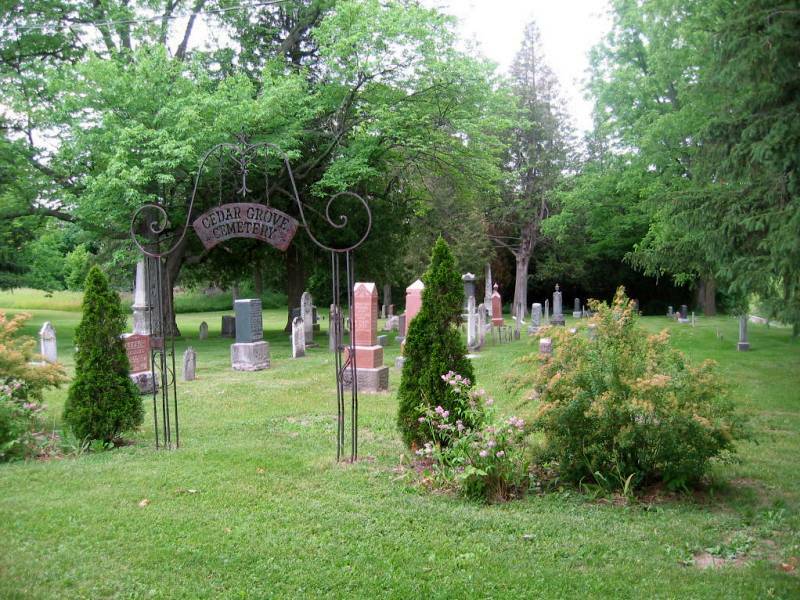 May also be incorrectly identified as the Rouge Valley Mennonite Cemetery or the Locust Hill Mennonite cemetery. The first church at the same location as the cemetery was formerly known as the Cedar Grove Mennonite Church. It amalgamated with the Steeles Avenue Mennonite Church, and then became known as the Rouge Valley Mennonite Church. The cemetery continues to be known as the Cedar Grove Mennonite cemetery or the Cedar Grove cemetery. Located at R.R. 1, Markham, ON, L3P 3J2. Located on the west side of Reesor Road (formerly 10th Line of Markham Township) north of Steeles Ave. Son of Norman & Elmina (Weber) Shantz.